First-time visitors to Africa tend to gravitate toward well-known destinations like South Africa, Kenya and Tanzania, but in this new travel series, TPG Special Contributor Eric Rosen sheds light on five of southern Africa’s other great safari destinations. 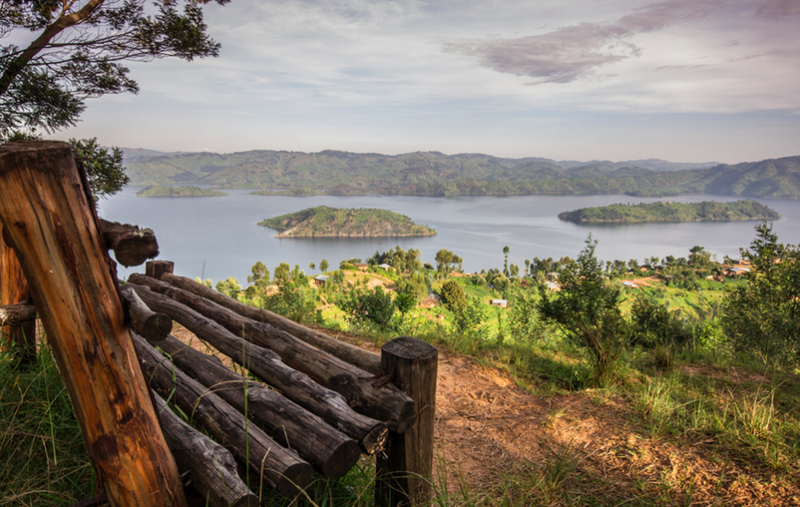 The first post covered Zambia, and today, we continue with Rwanda—a country that made the TPG Hot List of must-see destinations for 2o15. Head to Rwanda to track its famous (and rare) mountain gorillas. Photo credit: Volcanoes Safaris. As inspiration for travelers looking to experience something new, this series shares each country’s major safari areas and what wildlife you’re likely to see, as well as suggesting some places to stay. Be sure to consult Allied Passport & Visa for visa guidelines, and the CDC for info on vaccinations. Most visitors to Africa, and especially first-time travelers, tend to hit the same old spots in South Africa, Kenya and Tanzania, thanks to those countries’ well-established tourism and hospitality infrastructures, amazing wildlife-viewing opportunities, and the ease of traveling there using miles. However, for travelers looking to get off the beaten path, let’s take a look at Rwanda, and the opportunities it affords visitors to spend time with its rare primate inhabitants. Though once war-torn (to put it mildly), Rwanda has made swift progress since the horrors of the 1990s and is now an African success story, with one of the continent’s fastest-growing economies, a quickly developing tourism industry, and effective wildlife conservation efforts in place. 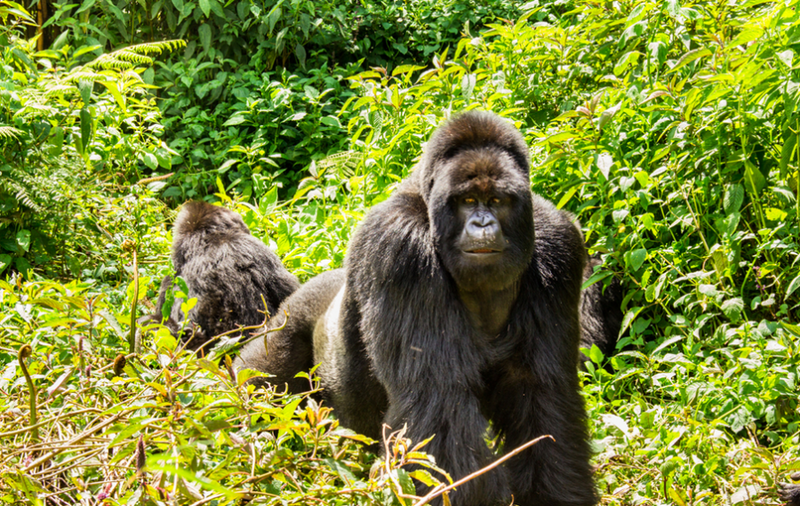 It’s home to three major national parks, but the main draw is the chance to encounter the endangered mountain gorillas of Volcanoes National Park in the northwest. The park is in Rwanda’s section of the Virunga Mountains, which form the border before Rwanda, Uganda and the Democratic Republic of Congo. It’s home to roughly half of the world’s population of wild mountain gorillas, making it a rare opportunity to see these majestic beasts in their native habitat. Apart from the gorillas, this lush forest area is great for hiking, seeing other primates including rare golden monkeys, and tracking forest elephants, buffalo, bush-pigs, hyena and more. Overlooking Lake Bulera in Volcanoes National Park. Photo credit: Volcanoes Safaris. Volcanoes Safaris is probably the best known operator here, with lodges in both Rwanda and Uganda, and experiences designed to let guests get as close as possible to the apes while still being sensitive to the animals’ natural habitat. Among the lodging options here are the well-known Virunga Lodge (though recent reports suggest it’s in need of refurbishment), Mountain Gorillas Nest (where Jack Hanna’s Guest House is located), in the moderate budget range, the Gorilla Mountain View Lodge. Folks looking for traditional safaris here should head to Akagera National Park, which runs along Rwanda’s eastern border with Tanzania. The park is known for scenic savannahs and papyrus swamps forming the largest protected wetlands in the region, and is home to big game like elephants, buffalo and giraffe. Nyungwe National Park is densely forested and boasts hiking trails where you can look out for rare birds, butterflies and chimpanzees. It’s just about 4-5 hours by car from the capital of Kigali, making it a great choice for a stop on a Rwanda trip. Among the lodging options here are Nyungwe Top View Hill Hotel, which, as its name suggests, has spectacular views of the forest, and the Nyungwe Forest Lodge. Stay tuned for future posts on Namibia, Malawi and Botswana; and feel free to share your own thoughts, experiences and tips on Rwanda in the comments below.